For a long period in the Australian story, the extent of the violence at the Frontier, and the impact of the European occupation on the Aborigines was sanitised, ignored or lost. For several generations there was a deafening silence. Some recognised it, a few openly complained, but for most there was silence. To be able to move forward we need to know what happened and what the consequences of this were. 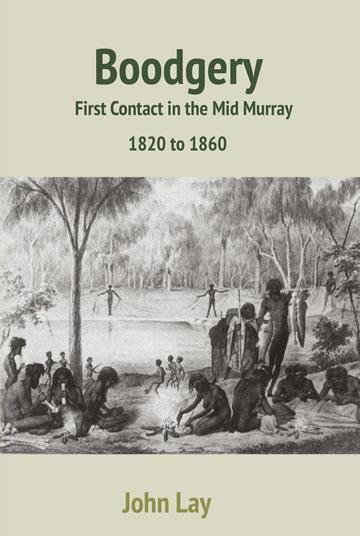 The Mid Murray area of Victoria has always had a relatively large population of Aborigines, however what happened here in the early years of European settlement is largely unknown. This book is a small part in the recovery of this knowledge. Here, some gaps are filled in for a small area of the continent, which can also be extrapolated to the wider picture. John Lay was born and raised in Swan Hill then completed an Arts degree at the University of Melbourne in the sixties. He travelled overseas for several years then worked as a librarian, teacher, wool sorter, and at various labouring jobs. He has always had an interest in Australian history and particularly local narratives.